What’s your hair routine? 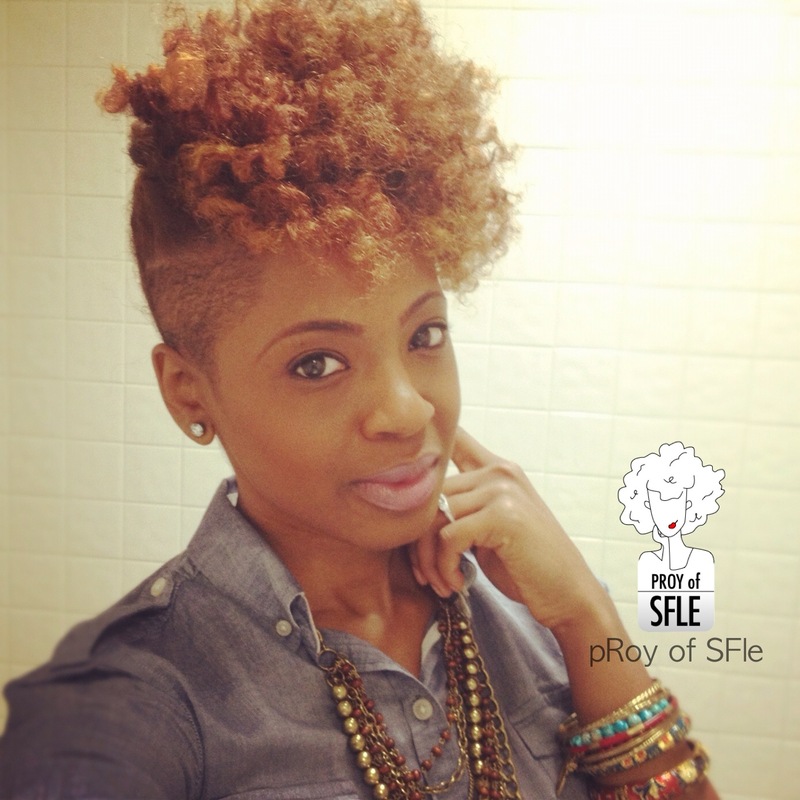 How do you maintain your gorgeous tresses? I rinse with water first, making sure my hair is thoroughly saturated. Since I have color, moisture is extremely important to me. Right now, I wash and use Trader Joe’s Nourishing Spa Shampoo and I condition with Dr. Miracle’s Curl Care Conditioner (I love how it tingles on my scalp). I also use Shea Moisture Deep Conditioning Masque mixed with Trader Joe’s Nourishing Spa Conditioner for a DEEP conditioner. Unless I am just co-washing, I always deep condition. I divide my hair into four sections and detangle my hair with my Tangle Teezer or my fingers. After all detangling is done, I wash out the conditioner, making sure to seal my curls with a warm/cool water rinse at the end of washing. I dry my hair with an old t-shirt and use Giovanni Direct Leave-In for my leave in. I style primarily with Shea Moisture Curl Enhancing Smoothie, Aloe Vera Gel, my Shea butter mixture, flaxseed gel, and/or any other oil I am feeling at the time. My moisture routine is water first, then an oil, then a moisturizer prior to styling. This helps me retain the most moisture, especially in the winter! My staple products are Shea butter, water, Aloe Vera gel, Giovanni Direct leave-in and Shea Moisture. I use them once a week on wash day or as needed throughout the week. I found that my hair doesn’t need a large variety of products in order to thrive. Keeping it simple also helps to keep money in my pocket. It’s funny that I just did a video on this, but my 2013 hair goals are to maintain a healthy head of hair, keep my hair cut in a shape, maintain MOISTURE (can’t stress that enough) in this dry, cold weather here in MN and continue to explore and execute diverse styles – yanno… to keep it funky and fresh! What is the greatest lesson that you have learned through your natural journey? The greatest lesson I have learned through my natural journey is to have patience. Hair doesn’t grow over night and neither do hair regimens, finding the “perfect” product, discovery, detangling… none of that! Gotta have patience or you’ll drive yourself nuts and get frustrated. Also, I learned to appreciate and love MY hair. I’ve always embraced my curl pattern, but I’m more so referencing the stages of natural – from the teeny weeny afro stage to the bra strap length stage and everything in between. I appreciated every phase I went through because I knew that I wouldn’t get it back – unless I could appreciate it. And really, it helped me to develop my hair regimen and learn the ins and outs of MY hair. We’re always checking out your blog, we are intrigued by the different hairstyles that you rock, your overall confidence, and personal style (Shout out to People of Colors). What inspires you? I draw my style inspiration from everywhere. Skylines, clouds, music, food, nature, paint palettes in hardware stores, architecture, ANYTHING — I thrive off of being inspired! Kelis is my biggest style icon. She has always maintained her individuality but looks so good doing it! She pulls off the most outrageous looks to the most refined looks, showcasing them in not only her clothes, but her hair as well! Love her spirit. I also love Gwen Stefani, Solange Knowles, Rihanna, and Victoria Beckham! Classic, chic and sassy… with a bit of funk! 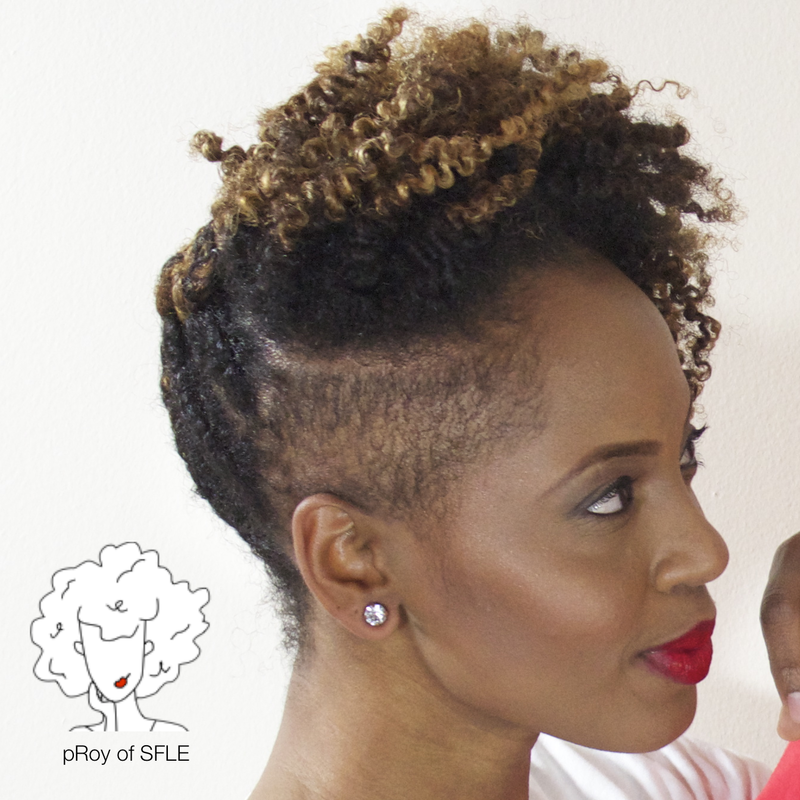 Some new naturals may be slightly intimidated about rocking and trying new styles. What’s your advice to them? Remember the reason you went natural and never hold back from being who you are. 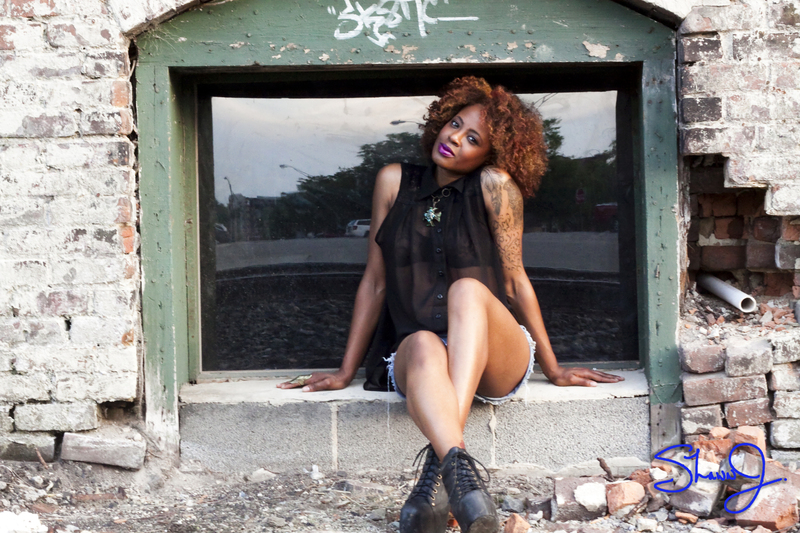 If you like big hair – rock it! I rock twists, braids, ‘fros, straight hair, wash ‘n gos, and anything else you can imagine and I do it because I want to do it. I’ve learned that you can’t please everyone, but it would be criminal to not give yourself pleasure in the simple things – just go for it! And we know that all things work for the good of them that love God, to them who are called according to his purpose – Romans 8:28 (no matter how bad it seems, everything will ALWAYS turn out just fine). As you may know, I am a member of CURL X (Curlfriends Uniting and Revamping Lifestyles) and we have an Official Launch Party coming up on April 27, 2013 in Atlanta, GA. For more details regarding CURL X and the event you can visit www.wearecurlx.com/events.html. 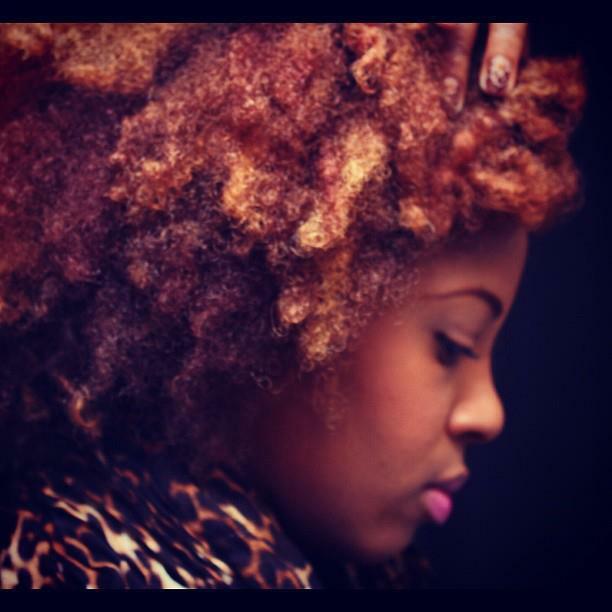 How do you embrace your tresses? 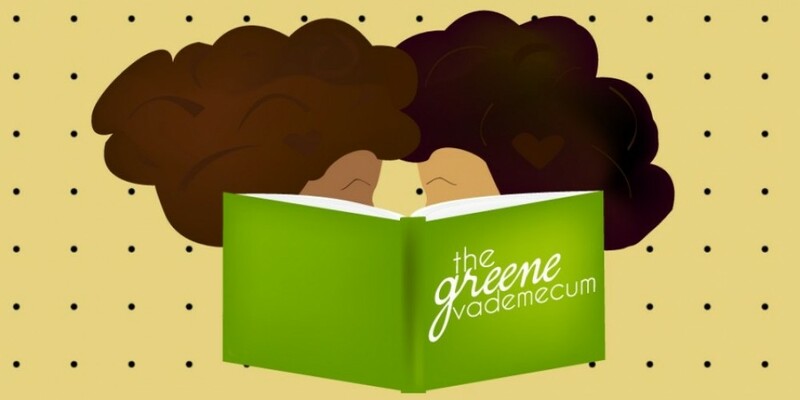 This entry was posted in Fab Hair, Features, Home and tagged feature, hair interview, natural, natural hair, people of colors, proy, steel feather lace elephant by greenevdc. Bookmark the permalink. Awesome Interview! I love her hair and that quote!